The Saving the Martyrs’ Legacy project was established in 2013 by members of the local community as a way of saving this ‘at risk’ historically important former chapel. In February 2014 the Tolpuddle Old Chapel Trust (TOCT) was formed. They purchased the building and site in February 2015. The project received financial and professional support from a number of organisations including the Architectural Heritage Fund, English Heritage, Bridport and Dorchester Methodist Circuit, Dorset County Council, West Dorset District Council and Steele Raymond solicitors. 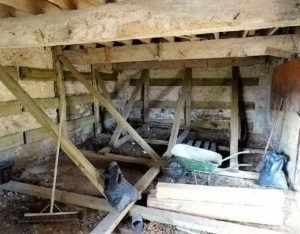 Following the purchase English Heritage funded emergency repairs and stabilization. During 2015 and 2016, with the support of the Heritage Lottery Fund (HLF), Architectural Heritage Fund, Dorset County Council and West Dorset District Council, project development and design work progressed. Consultations were held with local residents and visitors to the annual Tolpuddle Festival, resulting in good feedback on the proposals and strong support for the project. An HLF round 1 Heritage Grants application was submitted in May 2016 with a positive decision received in September and development funding of £63,700 confirmed and an in principle grant of £329,300 awarded towards delivery costs of £600,000. 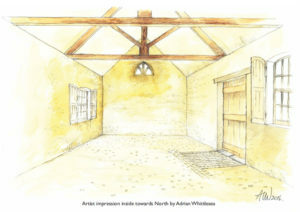 This funding allows the Trust to produce detailed plans for the renovation and repair of the former chapel, as well as creating interpretation and community engagement activities to tell the history of the building and its connection to the Dorsetshire Labourers, who later became known as the Tolpuddle Martyrs. In December 2018, HLF approved our Round 2 grant funding pf £329,300. The remaining £95K Match Funding is needed by May 2019. 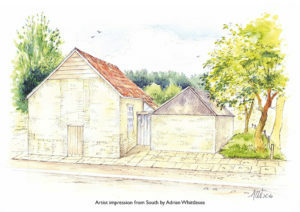 The development of the former Chapel will also help to enhance the visitor and tourist experience as part of the ‘rural life’ heritage corridor linking Dorchester with Hardy’s Birthplace, Athelhampton House and Tolpuddle.